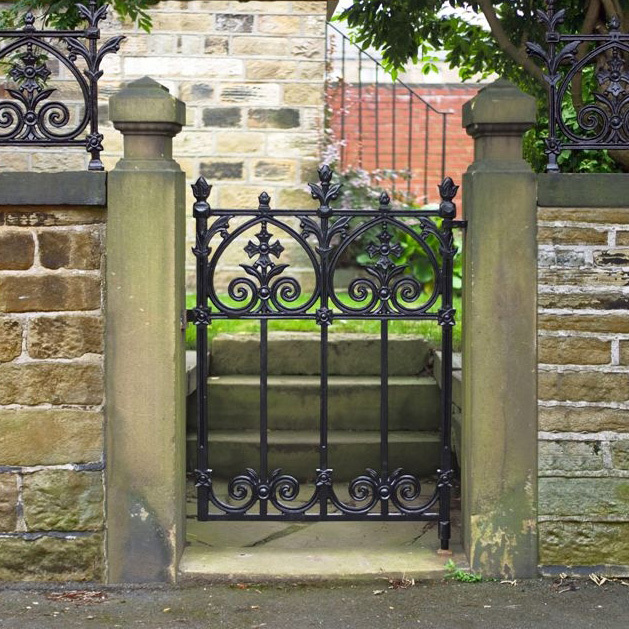 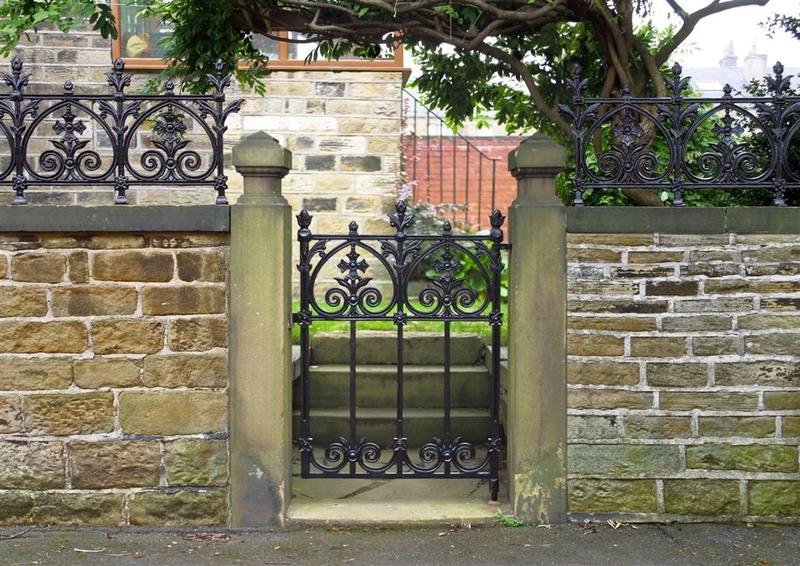 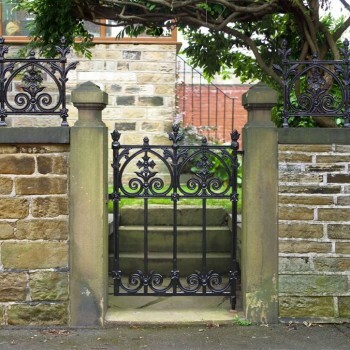 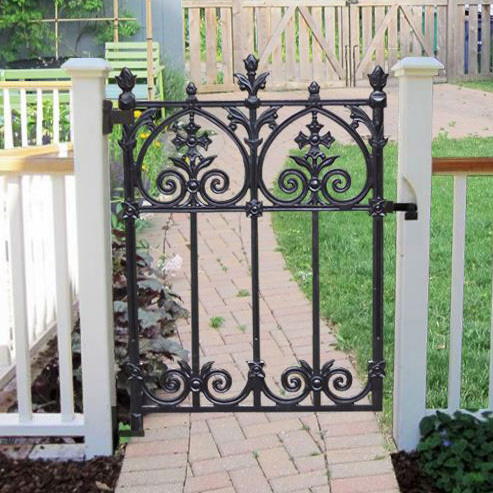 The Terrace Collection represents the finest in affordable ornamental cast iron railings and a beautiful garden gate. 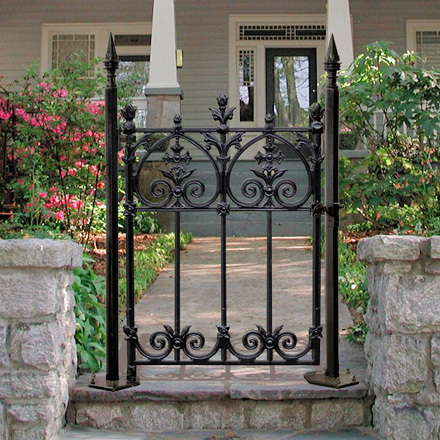 This railing system was designed with the historic English Terrace home in mind but has since found its way into may other installations including wall topping fence, widow’s walk railings and others. These solid cast iron railings will always prove far more durable than lightweight wrought iron or steel tube fabrications which even when painted properly rust from the inside out. 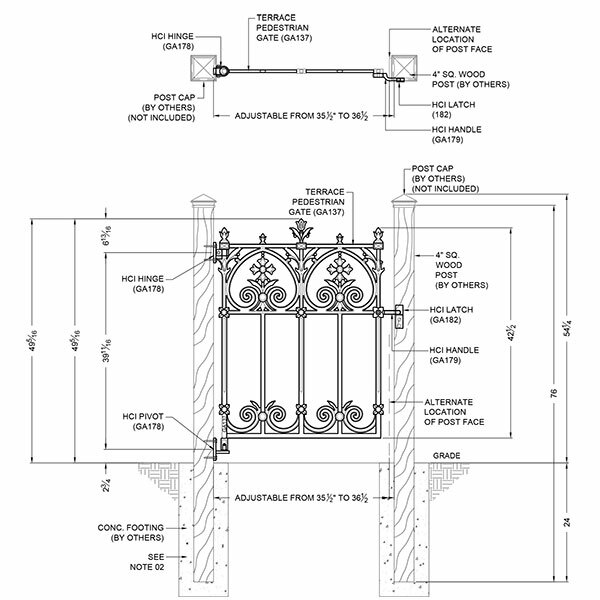 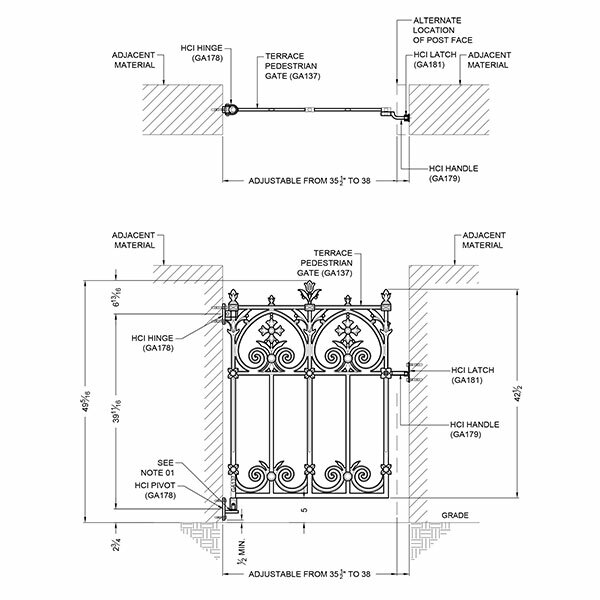 This railing system should be installed into a properly prepared masonry coping or foundation. 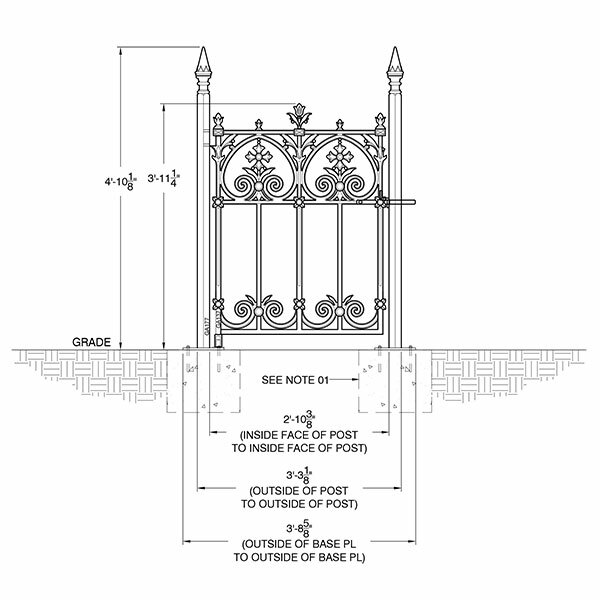 Please call on our sales specialists to help you design and price your next ornamental iron project. The Terrace Cast Iron Garden Gate and Railings are in proportion for most domestic requirements, and any competent D-I-Y er could complete a typical Terrace Gate Installation in a few hours.